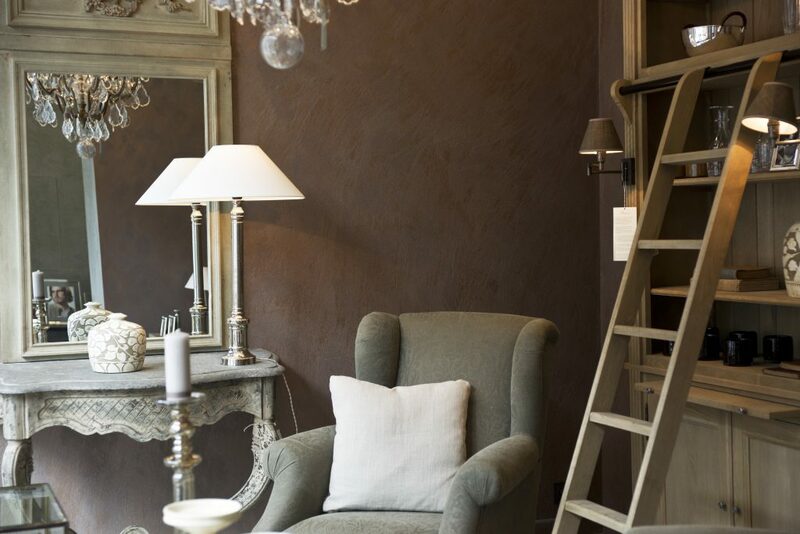 Creating the perfect French style decor at home takes time and planning. We all know that creating a stunning Pinterest board and translating that into a real home design is often much harder than it looks. When you see stunning designs online or in magazines, you’ll often feel inspired to create something similar. But even some of the most simple rooms can be super hard to replicate. Unless you know the inspiration behind the designer’s scheme, you may find that your finished look doesn’t quite look like theirs. Far better then to personalize your own decor, take inspiration from trends but pay attention to the small touches like the lighting, ambience and scent to create your own unique way of styling. Regardless of what style of French interiors you like, you’ll find that focusing on these key areas in each room will make the biggest difference to your decor. 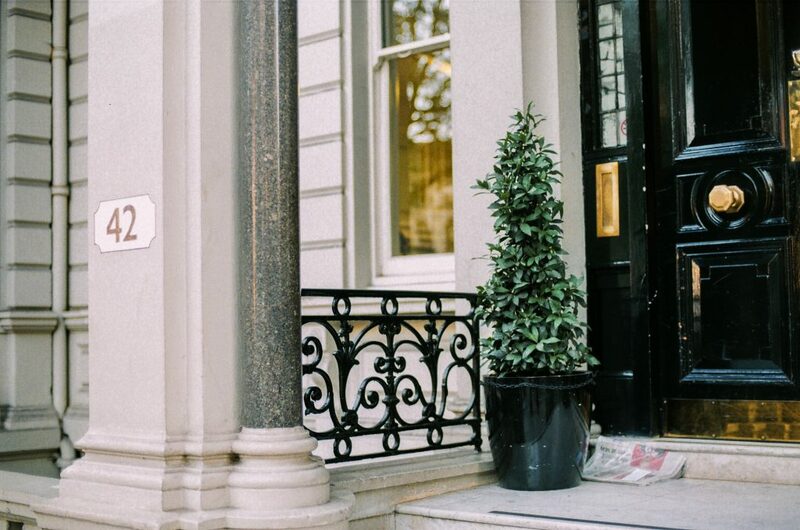 Technically, the exterior of your home will always make the first impression. But when guests come over, the first thing they’ll see when they enter, is, of course, your hallway. Strangely ( and I SO do this ) after saying hello to our hosts, our eyes are naturally drawn to the floor so the floorspace is a great place to start adding detail. The trend for patterned concrete tiles or vinyls are great in hallways and small bathrooms and practical too. Adding colour and print to the floor can really bring a small space like this alive. Add light in darker entrances with oversized mirrors or unique artwork. Or, if you’re good at arranging pictures, go for a collection of fab photographs. Whether you have something simple and straightforward, or winding and interesting, you may as well show this key part of your home off. These staircase ideas can help. 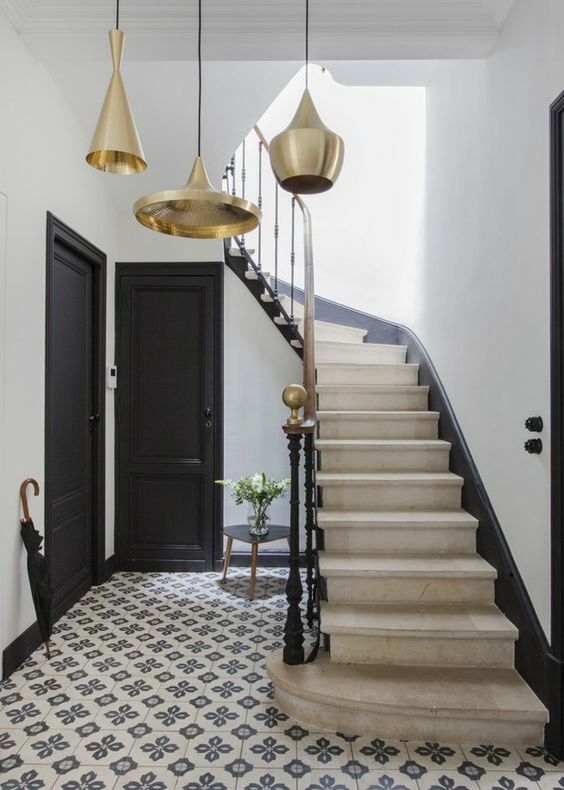 By focusing on the steps and the rail to bring the staircase to life, you should find that it easily becomes a central focus in your entryway. The space under the stairs can also be perfect for housing a downstairs loo, pegrails for coats or favourite pictures. Finally, check your hallway storage, because we all have coats and shoes and bags to store away here. For this, why not think about going with a country style boot room as featured on IdealHome.co.uk here. This kind of design is interesting, so popular and statement, but actually allows you to make your entrance hall organisation easy too. You can save a lot of money by adding new colour to your kitchen cabinetry and this is often achievable by upgrading what you already have. Whether it’s a french country kitchen you want to go for or a bright and beautiful city slick design, add colour to create an exciting place to cook, party and eat in. Shop around for long lasting but stylish worktops, handles, knobs and light fittings to bring the whole look together. One of the key home decor trends for 2018 is to install super bright kitchens – canary yellow or magenta if you dare! 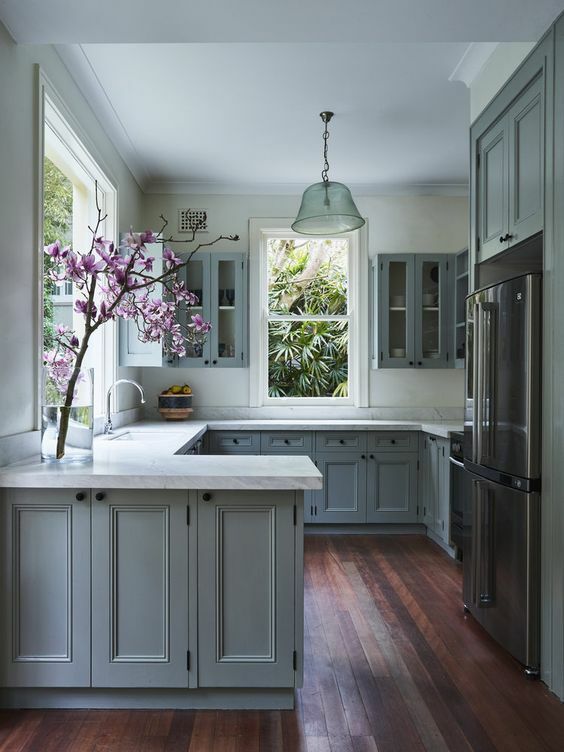 If you’re not sure about the whole candy kitchen bright trend and favour neutrals or more of a Parisian chic kitchen style, then keep it simple with fresh white and just keep things bright and airy. Your floor tiles should be on theme and carefully placed metallics can help you add an elegant bistro feel – make pendants oversized to add drama and French style. In your living space, comfort has to combine with functionality to create a homely space free of clutter. This is a room that you want to be able to relax in or entertain in, and your decor needs to mirror that. This means working with the design and layout to make sure that your room becomes what you need it to be. Simply where you place lighting or items of furniture can change the whole look and feel so take time to plot your design for the best use of your space. Add the finishing touches with coffee table displays, large candles in glass jars, scent and cosy cushions and throws. 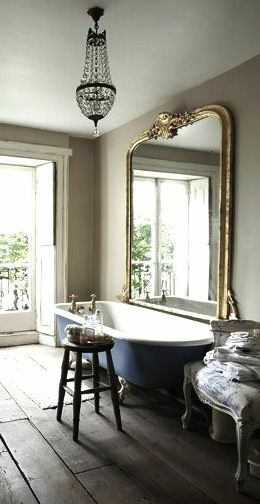 Flooring should be practical and beautiful in a bathroom to add luxury and practicality. When it comes to French bathroom styles, the artisanal chic style reigns on. Our advice would be to shop quality, keep it clean and elegant and upgrade when you need to with smart bathroom accessories for that added wow factor! Finally, style, peace and balance are all that is required for a beautiful bedroom to suit whatever your style. Keep colours calm whether that’s with pattern or block colour, your haven should be a dream place to sleep. As the bed is always going to the central focus being the largest item in any bedroom, make the most of it. 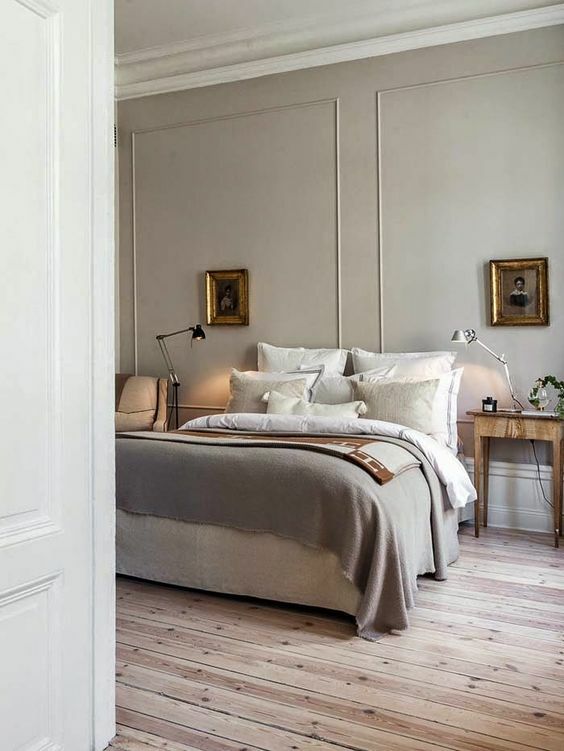 We love the idea of creating a hotel at home so starting with online guides about bed buying like Mattress-Guides.net now should help to find the perfect bed that offers style and extreme comfort in one. Always spend a little extra on a high thread count for your duvet covers and bedding, once you’ve experienced the difference you’ll never look back. Add texture with a beautiful throw and although the men in our lives hate them – cushions are a great way to dress your bed! You could keep bedding white and add colour with your accessories and bedside tables. When you don’t have an awful lot of space, or you just have a lot of stuff to store, organizing your bedroom can be key. For it to look its best, you have to work with the best storage solutions. Because a cluttered bedroom won’t allow your decor to really shine nor does it bode well for a good night’s sleep!